There are those among us who are called to stand and to be for the purpose of anchoring light in various geographic locations around the world. They are called into action at particular times for very specific reasons known only to them and the Star Elders who are guiding them. These pure-hearted souls work together as a synchronized united harmonized oneness, each stepping into their calling to receive an infusion of light on behalf of and in the spirit of an ever evolving humanity. They may be called to work singularly or in small groups that spontaneously form in THAT moment and not before nor after. They may never know the magnitude of the others who have also been called in to support them, beacon to them or align with them. Their team mates may be traveling right along side them or a half a world away with no awareness of the other at all. They can only sense the nameless amplification of support needed by a global network of activators and anchors of Light in that very moment. We feel the affect of their work. Whether we are fully conscious of it or not, we can all sense when there is a shift in global consciousness. While the mass media pumps out story after story to keep us all in fear, to turn brother against brother in an effort to fill our hearts with hatred and malice, we can feel the upward spiraling of unconditional love. This epic and foundational shift is reflected by our ability to see, sense and feel the way ahead again. The higher probabilities, as reflected in the global shifts in consciousness, create a kind of collective clearing of soul pain. We can more clearly identify the way as we align with the flow of grace even as the rest of the world is becoming more polarized. In fact, it’s the polarization that helps us to more specifically identify higher vibrational choice now. Since mid-September, the codes of Light are clearly causing a quantum shift in consciousness. 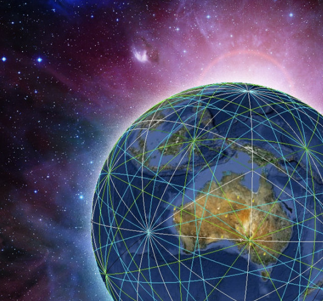 Many souls who have been trapped inside this lower vibrational grid are leaving or have already left. The load on the system is lifting now, and the the consciousness dots are being connected, which is giving us the clear message that it’s time to embrace all that we are now. Thanks, with humble heart, to all who deeply listen to inner guidance, and heed the call to go, to sit ever so quietly in the stillness — to be, to open and amp those energies of Love without any condition at all, into the entire human grid system. Thank you, thank you and thank you so very much, again.